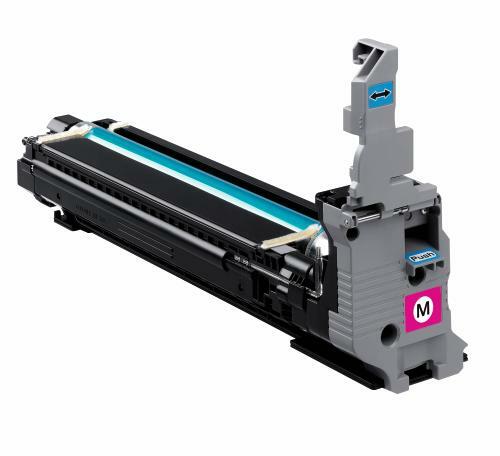 Konica Minolta is a leading developer and manufacturer of high-performance color and monochrome document printing solutions for office automation, electronic publishing, graphic design, and advanced imaging applications. To give customers the most complete printing solutions, Konica Minolta offers a wide range of printer supplies and accessories. Konica Minolta backs each product with an extensive range of offerings and more than two decades of dedicated, professional experience. Genuine Konica Minolta supplies ensures clear, crisp text and images that add flair to your documents, while generic or remanufactured supplies can cause streaks, smears and paper jams, decreasing productivity. Genuine Konica Minolta supplies generate optimum print quality and give you maximum uptime and productivity. Get the best! Only genuine Konica Minolta supplies assure you of the best quality output from your printer. Compatibility: Konica Minolta magicolor 4650, 4690MF, 5550, 5570, 5650 and 5670 printers.